First impressions are so important - we can assist you with presenting your business at its best! Specialising in cleaning concrete driveways and paths. Want Some Help Making Your Home Shine? 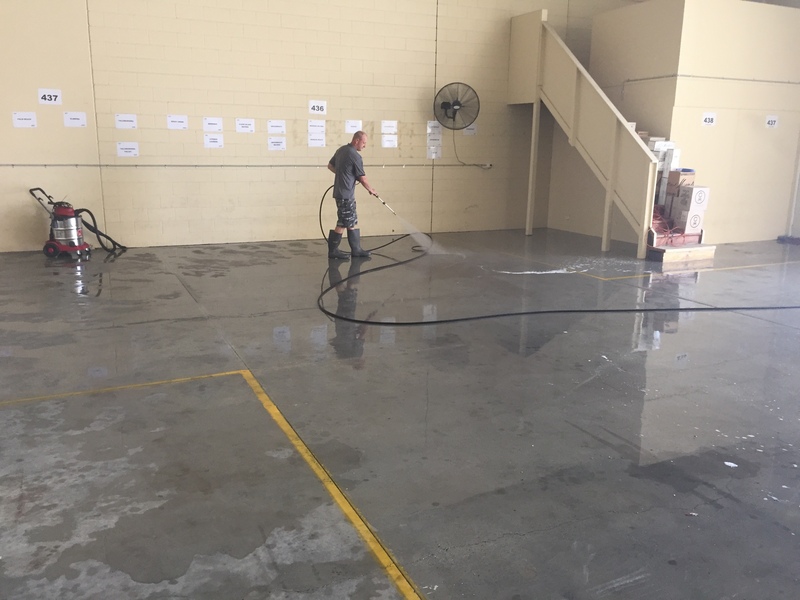 High Pressure Cleaning Gold Coast provides a professional High Pressure Cleaning, SoftWash and Sealing Services throughout the Gold Coast, Hinterland and Tweed Coast. 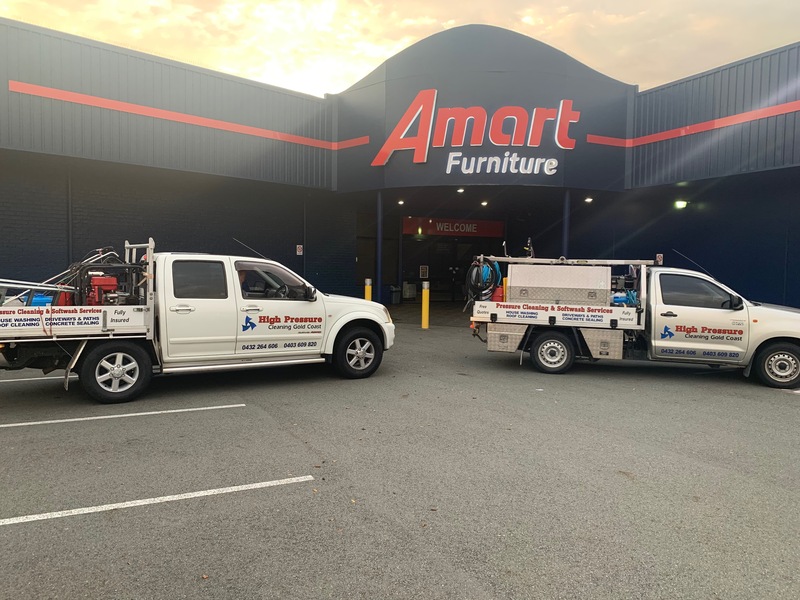 We specialise in high pressure cleaning or SoftWash cleaning for all types of surfaces for your home or commercial premises – Building or House wash-downs to high pressure Driveway Cleaning, Concrete Cleaning to Tennis Court Pressure Cleaning. We are equipped with modern machines that ensure a far more effective clean than can be achieved with a garden hose or electric pressure cleaner. We are distinct from other cleaning services. 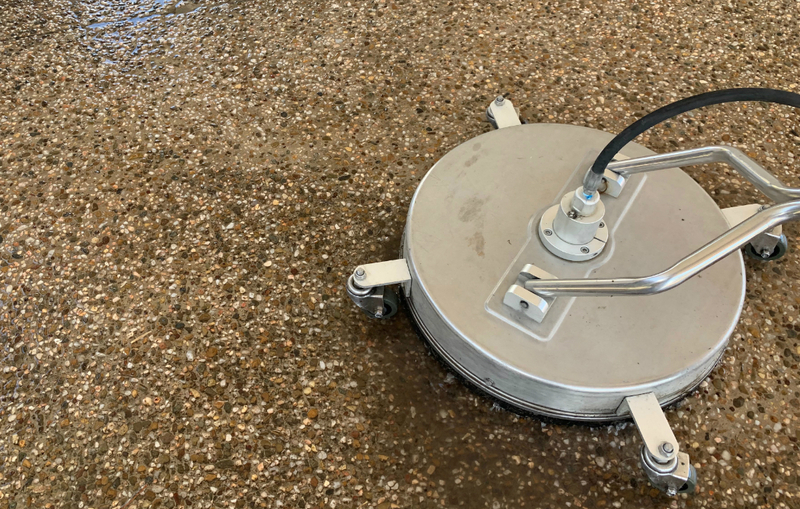 We are equipped with modern, highly pressurized, cleaning machines, that are far superior and more effective than the ordinary garden hose, or electric pressure cleaners, as commonly used by many households. When it comes to tough dirt and hard stains, you need to employ the right cleaning technique in order to eliminate these stains. This is where our high pressure cleaning specialist family business comes in. We will get to work, transforming the dirty and/or stained surfaces, into clean, beautiful surfaces, in the most effective way. 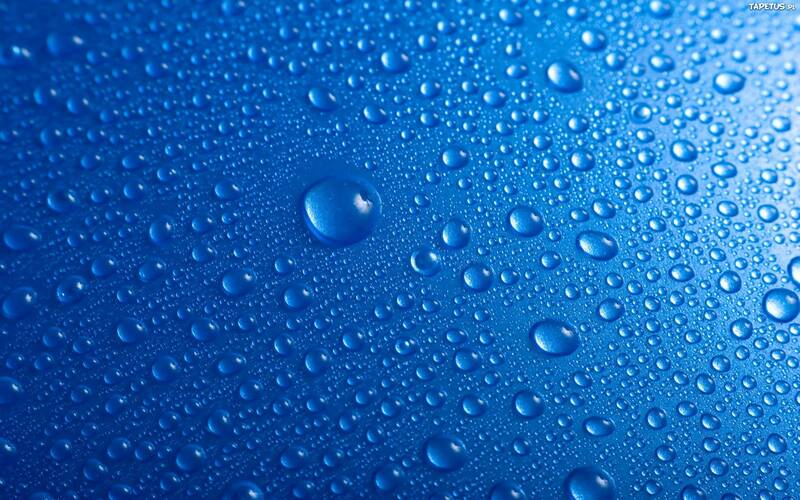 We take care of the hard cleaning for you and we deliver the best cleaning result! Our uniquely formulated Anti-Microbial treatment, PH-50 not only eliminates mould and algae, but also inhibits future growth. 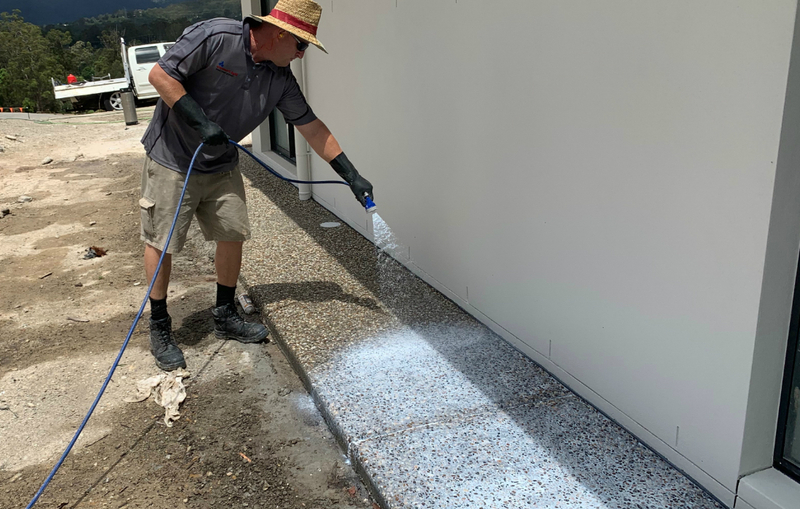 Once your driveway and paths are clean, talk to us about applying a protective sealant to place a protective barrier from grime, grease and mould. Our Pro Seal 896 sealer is NON TOXIC and quick to apply. We guarantee you an amazing experience and quality service. Our services are fully insured and our pricing is affordable. We promise to be there for you, to schedule when you need us and to be on time for our appointments. 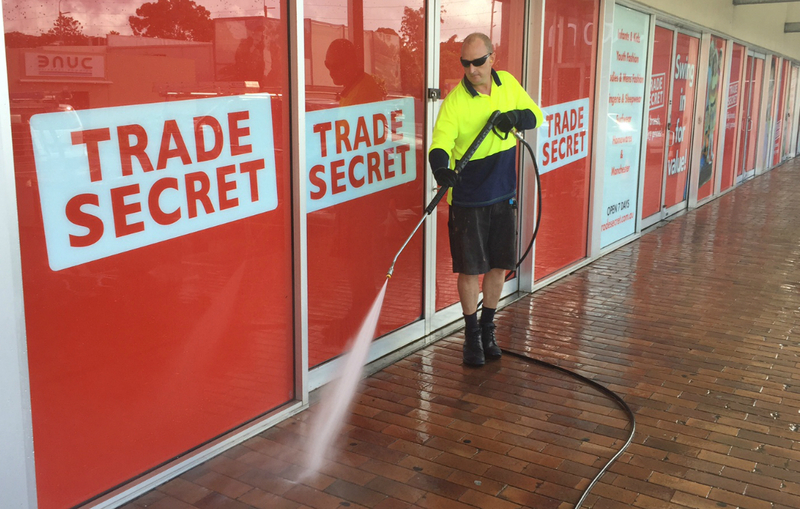 High Pressure Cleaning Gold Coast are guaranteed to perform with the highest level of quality and professionalism. Our family business is comprised of quality technicians and friendly faces. and paths. Hubby's oil stains are now gone! an amazing job on a very dirty driveway. Had the pleasure of High Pressure Cleaning Gold Coast my concrete and decks. these fantastic gentlemen in the first place. to recommend to family & friends. Thanks guys. 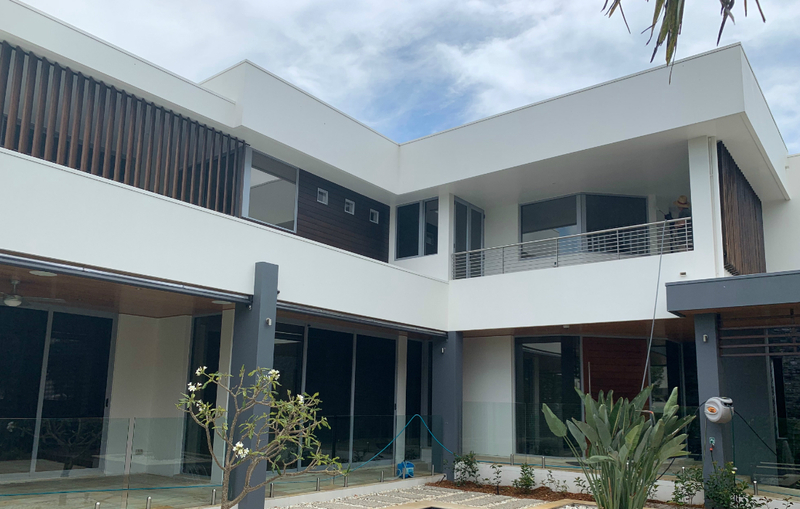 to quality outcomes for your Residence, Commercial premise or Body Corporte requirements. Tim and Jamie are fastidious in their site management. Customers compliment me all the time on how clean and tidy my business facade is now. Thank you - everyone happy to have clean driveways! Thank you for the great job. Feels fabulous! is incredible. Looks like a new roof. Very professional, well priced and prompt. Highly recommended. Get a top quality, professional clean at a great price. Great team of guys to deal with! about getting it looking new again. Great to deal with and let us know exactly when they would arrive. We are thrilled with the price and the result, and could not recommend them more highly. We will definitely be using them again. Many thanks for a job well done guys! Quality of work exceptional. Punctuality and time management above the ordinary. have added enormous value to our residence. Would highly recommend Jamie and Tim. and can not recommend them highly enough! Always on time and the job is always 110%. 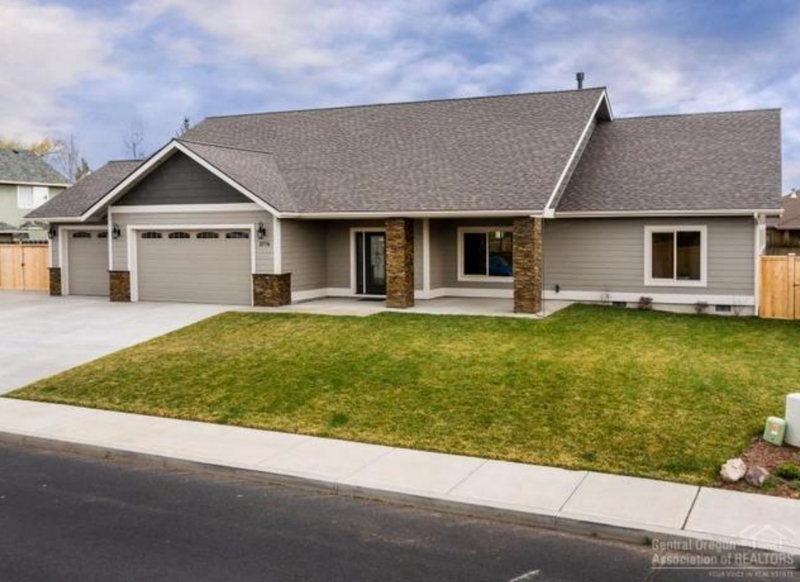 They have just finished cleaning our house that has not been done for 35 years and we could not be happier with the results! Our sandstone pavers look fantastic, like new! I thought they were extremely reasonably priced. Very pleasant to deal with, will use again. at our home. We are more than happy to recommend this professional and efficient local business.